Last year for Christmas I wanted to give everyone the same type of gift, no jealousy between the families or family members. Which can be a difficult task to find a craft item to make for both women and men. 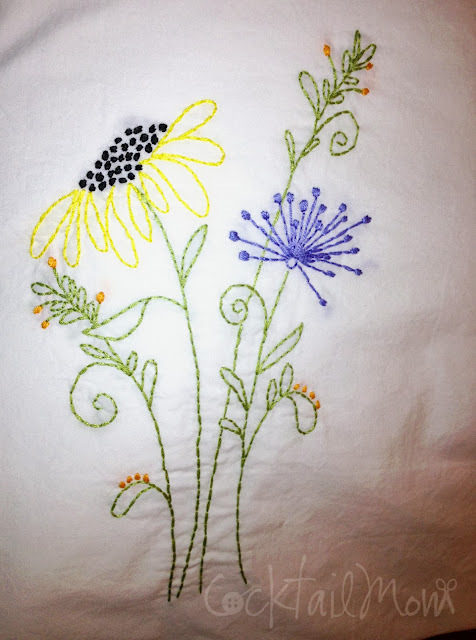 So I decided on embroidered pillowcases. Everyone has a pillow to sleep on and needs a pillowcase. I pulled images of embroidery flowers off of Pinterest and copied them onto paper making my own patterns, mixing different flowers and using a combination of colors that I thought would compliment the recipients bedroom. The cost of buying pillowcases for each person, turned my money saving, crafty gift in a different direction. When the crafty gift reaches a certain dollar amount I have to ask myself, "is this worth making or should I just buy something?". So I decided to make each of the pillowcases as well. 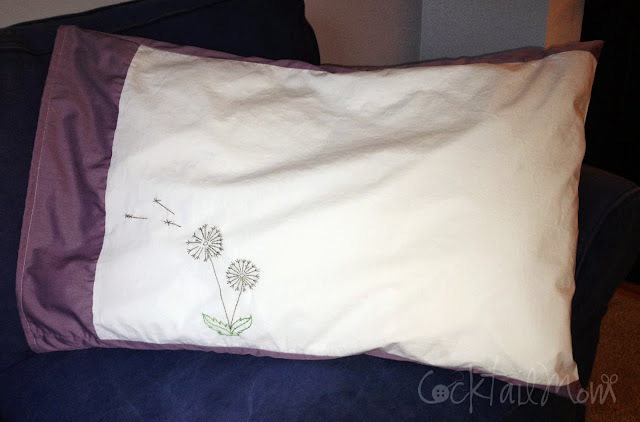 You do not need a lot of sewing machine skill to make pillowcases, this is an easy project for a beginner sewer. Most of the pillowcases were a solid white cotton and a select few had an additional color fabric added. I loved how they turned out, each gift was unique and I was able to complete them all while watching TV or waiting for my child's extracurricular activity to finish.